The Impulse iQ adjusting instrument was a new addition to the practice in 2013. This state of the art adjusting instrument has a high tech sensor that provides information from your body's response to chiropractic adjustments to a micro-computer inside to give the doctor feedback about your results. The Impulse iQ is a patented and FDA approved device that was developed to provide gentle and precise computer- aided chiropractic adjustments to relieve pain and restore function. Just as lasers have replaced scalpels in some surgeries, advanced technology has become available to chiropractors to assist in delivering chiropractic adjustments. 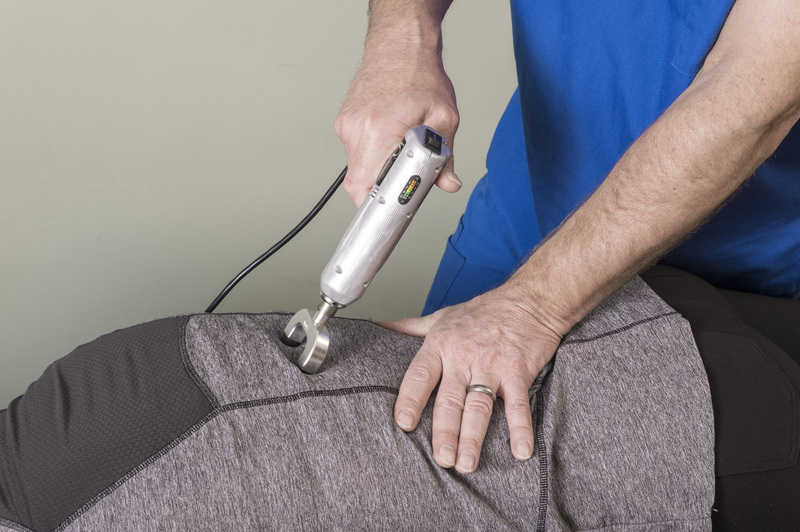 It is ideal for patients who are concerned about being "cracked" with manual manipulation. The Impulse iQ utilizes a controlled low force thrust that makes treatment comfortable, safe and effective for patients of all ages.